A mobile, adaptable, coffee kiosk built from waste material. The project provides a low-barrier opportunity for business ownership and entrepreneurship. 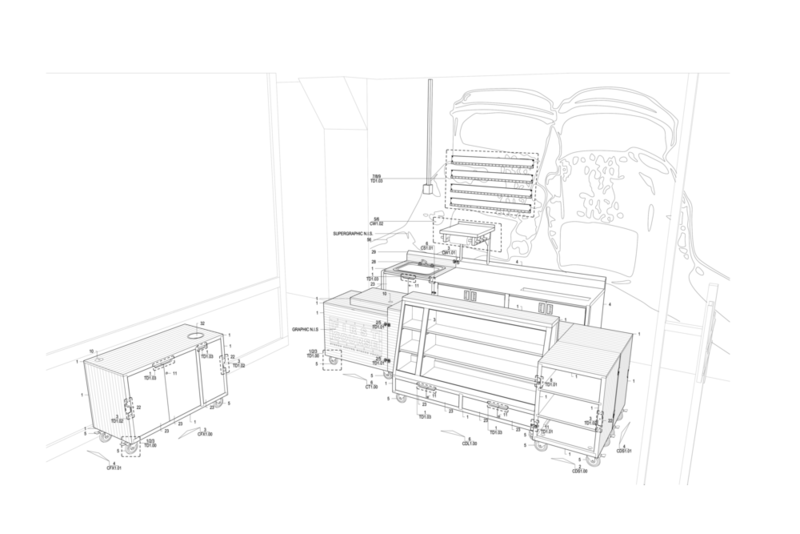 The architectural concept is predicated on a fleet of modular, pre-fabricated carts, each with a specific function, that aggregate to form a complete cafe kiosk. 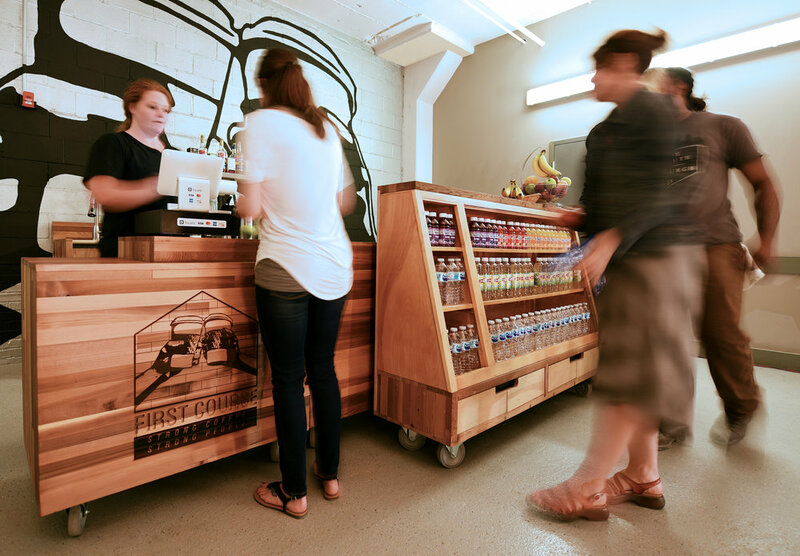 Sited in a previously under-utilized warehouse lobby, the cafe provides access to food and coffee for the building's population. Courtney, a recent graduate of the Trade Institute of Pittsburgh, was selected to be the entrepreneur-in-training (EIT) of FIRST COURSE. Developed through PROJECT RE_, this project has provided her an opportunity to start her own business with minimal financial investment while securing a living wage. Courtney was included in the design and decision making process from start to finish. Designed with future mass production in mind, the carts of FIRST COURSE are detailed to be replicable at scale. Reused materials sourced from Construction Junction are thoughtfully combined to create value-added products and divert waste from landfills. Ergonomic and functional details were developed and applied systematically across the carts. The logo and slogan "Strong Coffee. Strong People." establish a branding identity that pays tribute to the business' trade origins. A collaborative process which included architecture students, educators, design professionals, carpenters, welders, trade apprentices, and business mentors allowed FIRST COURSE to be designed, constructed, inspected, and permitted in 105 days. FIRST COURSE is now open daily in the lobby of 7800 Susquehanna, serving over 200 employees of start-ups and local businesses.